The film is set in 1917. Hattie, a prostitute working at an elegant brothel run by the elderly, cocaine-sniffing Madame Nell, has a 12-year-old daughter, Violet, who also lives at the house. When photographer Ernest . Bellocq comes by with his camera, Hattie and Violet are the only ones awake. He asks to be allowed to take photographs of the women. Madame Nell only agrees after he offers to pay. Bellocq becomes a fixture in the brothel, taking many photographs of the prostitutes, mostly of Hattie. His activities fascinate Violet, though she is frustrated by the long, precise process Bellocq must go through to pose and take his pictures. Nell decides that Violet is old enough for her virginity to be auctioned off. After a bidding war between regulars, Violet is bought by an apparently quiet customer, but this first sexual experience is unpleasant. Hattie, meanwhile, aspires to escape prostitution. She marries one of her customers and goes to St. Louis without her daughter, whom her husband believes to be her sister. Hattie promises to return for Violet once she’s settled and broken the news to her new spouse. Violet runs away from the brothel in a fit of temper after being punished for some hijinks, showing up on Bellocq’s doorstep. The two become lovers, although Violet still needs a great deal of attention and is frustrated by Bellocq’s devotion to his work. For his part, the (perhaps asexual) older man is entranced by Violet’s beauty, youth, and photogenic face. Violet eventually returns to Nell’s after quarrelling with Bellocq, but social reform groups are forcing the brothels of Storyville to close. Bellocq arrives to wed Violet, ostensibly to protect her from the larger world. Immediately following the wedding, Hattie and her husband arrive from St. Louis. They claim that Violet’s marriage is illegal without their consent and plan to take her back with them. Violet would like her husband to come with her, but he lets her go, realizing a more conventional life, and schooling, will benefit her more. The film won the Technical Grand Prize at the 1978 Cannes Film Festival. Versatile controversial French and Hollywood film maker. He made films for more than 40 years, winning innumerable awards starting with Le Monde du silence (1956) at Cannes and Oscar to ‘Goodbye Children at Venice in 1987. His last feature film was Vanya on 42nd Street (1994) . Malle is sometimes associated with the nouvelle vague - though his work does not directly fit in or correspond to the auteurist theories that apply to the work of Godard, Truffaut, Chabrol, Rohmer, and others, and he had nothing whatsoever to do with Cahiers du cinéma, he did exemplify many of the characteristics of the movement, including using natural light, and shooting on location. He reveled in tackling taboo subjects: The Fire Within ("Le Feu follet", 1963) centres on a man about to commit suicide, Murmur of the Heart (1971) deals with an incestuous relationship between mother and son and Lacombe Lucien (1974), co-written with Patrick Modiano, is about collaboration with the Nazis in Vichy France in World War II . 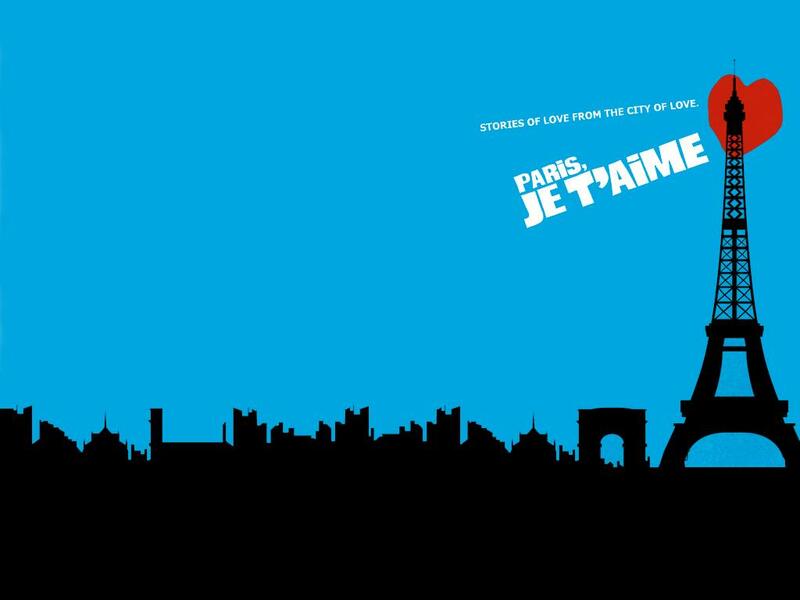 Paris, I love you) is a 2006 anthology film starring an ensemble cast of actors of various nationalities. The two-hour film consists of eighteen short films set in different arrondissements or administrative districts of Paris city. The 22 directors include Gurinder Chadha, Sylvain Chomet, Joel and Ethan Coen, Gérard Depardieu, Wes Craven, Alfonso Cuarón, Nobuhiro Suwa, Alexander Payne, Tom Tykwer, Walter Salles, Yolande Moreau and Gus Van Sant. A man parks his car on a Montmartre street and muses about how the women passing by his car all seem to be "taken". Then a woman passerby faints near his car, and he comes to her aid. A young man, hanging out with two friends who taunt all women who walk by, strikes up a friendship with a young Muslim woman. Director: Gus Van Sant A young male customer finds himself attracted to a young printshop worker and tries to explain that he believes the man to be his soulmate, not realizing that he speaks little French. A comedy in which an American tourist waiting at the Tuileries station becomes involved in the conflict between a young couple after he breaks the cardinal rule of avoiding eye contact with people on the Paris Metro. A young immigrant woman sings a Spanish lullaby ("Qué Linda Manita") to her baby before leaving it in a daycare. She then takes an extremely long commute to the home of her wealthy employer (whose face is not seen), where she sings the same lullaby to her employer's baby. Director: Christopher Doyle A comedy in which a beauty products salesman makes a call on a Chinatown salon run by a woman who proves to be a tough customer. Prepared to leave his marriage for a much younger lover, Marie Christine, a man named Sergio instead decides to stay with his wife after she reveals a terminal illness - and he rediscovers the love he once felt for her. A mother, grieving over the death of her little boy, is comforted by a magical cowboy. A boy tells how his parents meet in prison and fall in love. An older man and younger woman meet for an arrangement that a third person ('Gaspard'), who is close to the woman, may not approve of. It is eventually revealed that the young woman is his daughter, and Gaspard is her baby. The film was shot in a single continuous shot. When the characters walk by a video store, several posters of films by the other directors of Paris, je t'aime are visible in the window. An American actress procures some exceptionally strong hashish from a dealer whom she gets a crush on. A Nigerian man dying from a stab wound in the Place des fêtes asks a female paramedic for a cup of coffee. It is then revealed that he had fallen in love at first sight with her some time previously. By the time she remembers him, and has received the coffee, he has died. An aging couple act out a fantasy argument for a prostitute in order to keep the spark in their relationship. Natali A young backpacker tourist falls in love with a vampiress. While visiting Père Lachaise Cemetery, a young woman breaks up with her fiancé, who then redeems himself with the aid of advice from the ghost of Oscar Wilde. After mistakenly believing that his girlfriend, a struggling actress, has broken up with him, a young blind man reflects on the growth and seeming decline of their relationship. A separated couple meet at a bar for one last drink before the two officially divorce. Carol, a letter carrier from Denver, Colorado on her first European holiday, recites in rough French what she loves about Paris. Born in 1969 in the province of Iranian Kurdistan, near the Iran-Irak border, Ghobadi’s first feature film was "A Time for Drunken Horses" (2000), the first Kurd film in the history of Iran. 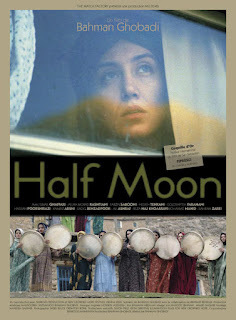 This film, “Turtles Can Fly” 2004), “Marooned in Iraq” (2002) and all the others made by Ghobadi were hits in the festival circuit, garnered dozens of awards but were little seen or not seen at all in his native country. His last movie to date, filmed without official permit, rapidly and feverishly, "No One Knows About Persian Cats " (2009) is a remarkable semi-documentary about underground music in Tehran. The film was produced through companies in Belgium, France and Italy. While it does not deviate from the naturalistic style of the Dardenne brothers' earlier works, a brighter aesthetic than usual was employed, and the screenplay had a structure inspired by fairytales. Unusually for a film by the directors, it also uses music. It premiered at the 2011 Cannes Film Festival and won the festival's Grand Prix. The next morning, the woman from the doctor's office, Samantha, shows up with Cyril’s bike. She says she bought it from someone in the projects, but Cyril thinks it was stolen from his dad. He likes Samantha though, and asks if she would take him in on weekends. Later, through an old personal ad, Cyril discovers that his father actually sold his bike. With Samantha, Cyril is able to finally track down his father. However, his father isn't happy to be found and tells his son never to come back. Cyril, heartbroken by his father's rejection, turns to Samantha for comfort. But despite Samantha's care, Cyril is soon taken under the wing of a local gang leader known as "The Dealer." At The Dealer’s prompting, Cyril robs a newsstand owner and his son with a baseball bat. The Dealer, fearing Cyril had been identified, threatens him to keep quiet and forces him to keep the money. Cyril tries giving it to his father only to be chased away. Dejected, Cyril returns to Samantha and finally accepts her care for him. The robbery is settled through mediation, where Cyril apologizes personally to the owner, who accepts, but his son does not and, in a chance encounter, tries to get his revenge. In the ensuing chase, Cyril climbs from a tree and falls when struck by a rock the son throws. While he lies unconscious, the owner and son discuss what lies to tell the police. While they're talking, Cyril comes to and walks away, having apparently decided to move on with his life.